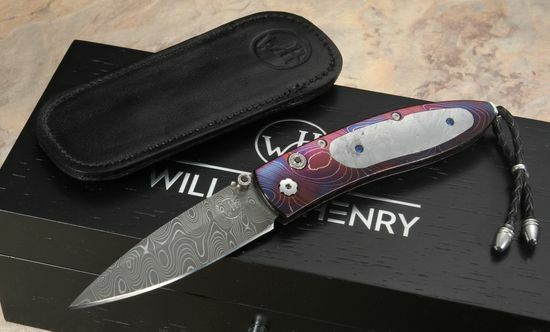 If you are looking for an exquisite folding knife, the William Henry Galactica is a perfect choice. The entire knife combines hand forged damascus steel with extraterrestrial meteorite inlay. The knife features the workmanship of William Henry Studio, at the top of their game. 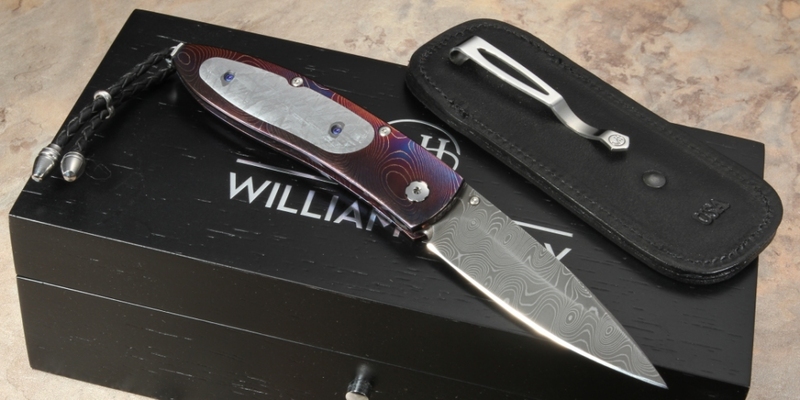 The William Henry B05 Galactica is a limited edition of only 50 individually numbered knives. The blade on this William Henry folding knife is stunning forged 'Jet Stream' pattern damascus by bladesmith artisan Chad Nichols. The B05 Galactica Tactic has a frame of forged damascus steel, the entire frame of the knife is made from machined damascus. The handle is polished and gun blued an electric dark blue. The damascus show cases the Gibbeon Meteorite inalys and their crystalline-like Widmanst?tten pattern. 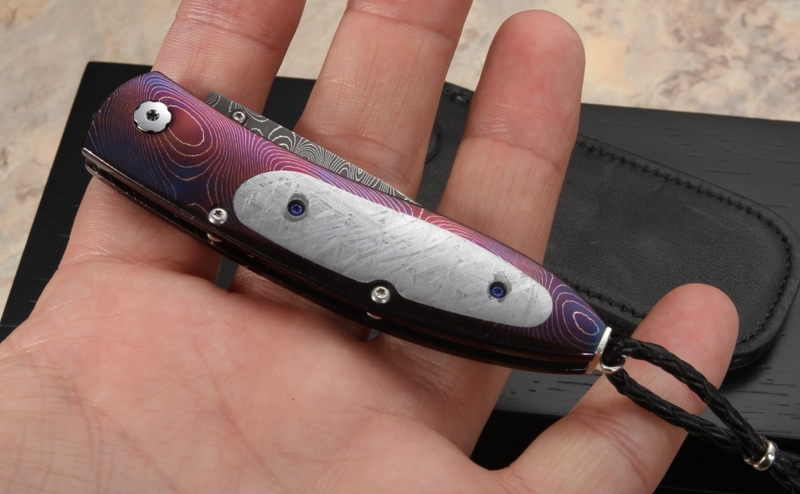 The knife has dark blue sapphire inlays on the button lock and the thumb lug. When you open and close this knife you can feel the precision manufacturing and high level of fit that went into this work of art. The B05 Galactica comes with a black leather lanyard, a black leather clip case for protected carry. Each knife is individually numbered and comes in a upscale wood presentation box. Order with confidence, we offer fast, free shipping and a full satisfaction guarantee.